Pleased to announce an upcoming Mikromedas concert as part of the Technosphärenklänge #4 event held at Hause der Kulturen der Welt in Berlin. 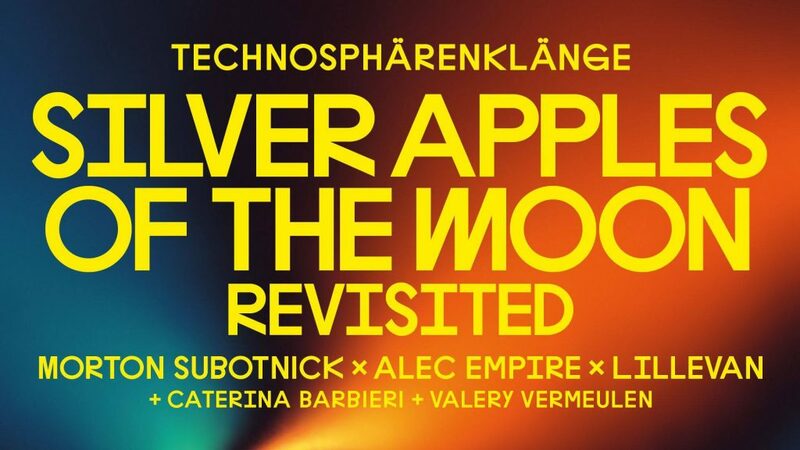 Central theme for this event, organized by CTM Festival Berlin and Hause der Kulturen der Welt, is the celebration of the 50th birthday of Morton Subotnick‘s seminal album “Silver Apples of the Moon”. The Mikromedas concert is held on 17/11 at 21u00 (all info via: http://www.ctm-festival.de/concerts/calendar/concert/calendar/2017/11/17/technosphaerenklaenge-4-concerts/). On 18/11 at 15u00 I’ll also be giving an artist talk at HKW in Berlin (all info via: http://www.hkw.de/en/programm/projekte/veranstaltung/p_136374.php).